10. You have a right to feel the way you do about your adoption journey. Adoption is complicated and messy and wonderful and heartbreaking. Life may feel wonderful to you now or it may feel confusing and awful. Know that your feelings about being adopted are valid and will likely change throughout your life—and that is completely normal and okay. 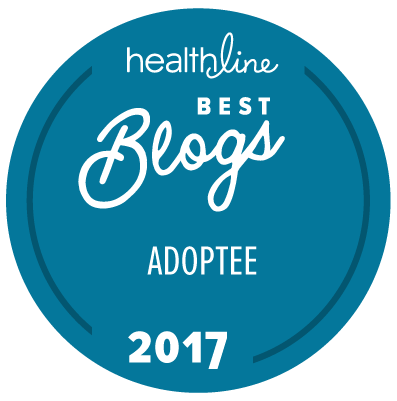 There is no right or wrong way to feel about adoption, and there is no right or wrong way to navigate your adoption journey. You have a right to explore what it means to be adopted in your own time and in your own way. Your experience is your own and you are the only one who knows what is truly in your heart. 9. Know that you may see and feel the world differently due to the traumatic losses you have experienced in your life. Many adoptees are also mental health warriors and brave their battles valiantly every day. Know that you are not alone in this and it is okay to ask for help if you reach a point where you no longer feel as though you can brave your battles alone. You don’t have to do this alone—we don’t want you to go through this alone. Your life has value and your light is so very needed in this world. 8. You have a right to fight until you feel safe. Regardless of the age at which you joined your adoptive family, you may find that forming a connection with them is extremely difficult. Whether you joined your family who adopted you as a baby, as a teenager, or even as an adult—the fact of the matter is that you were biologically connected to your birthmother for nine months before you came into this world. You heard her voice and you felt her heartbeat from inside her womb and you have her blood running through your veins. That matters. The connection you formed with your birthmother matters. And, that can make it difficult to form a connection with the family who adopted you. You may have endured traumatic experiences in your life beyond the loss of your birth family and your culture and community of origin. While you are not what happened to you, those experiences can very much affect the way you view and form relationships with others. You may need to fight against forming connections or receiving love from your family until you can truly believe in your heart and in your gut that you are safe and that nothing you can do or say will be enough to push your adoptive family away from you or make them love you any less. It won’t be easy for anyone involved, but you need and deserve to know that you are worth fighting for and that there are people in your life who will fight to stay just as hard as you fight to push them away. 7. Your sense of identity is your own. Adoption is the result of a series of decisions that have been made for a child. As an adoptee, you may feel as though there are many things in your life that are out of your control. You may have had your name changed, you may not know your true date of birth, or you may have been raised in a racial and cultural community that differs greatly from your race and culture of origin. All of these decisions that are made for you can profoundly impact your sense of identity and the world’s perception of you. As you mature and grow in your understanding of yourself and your adoption journey, you may begin to see yourself differently and reject or embrace parts of who you are. There is no right or wrong way to form your identity as you navigate your adoption journey. And, the way you currently identify and see yourself may completely change in a few years. The process of forming your identity may include exploring your past and seeking connections to your family and culture of origin. You have a right to seek out the missing pieces of the puzzle, and you have a right to search for a connection to the people and things that may fill a void in your life and help you feel whole again. 6. You should never have to choose between loving the family who brought you into this world and the family who adopted you and chose to raise you. There is room in your heart to love both. You can feel blessed to have a family to celebrate milestones and holidays and birthdays with and to have your needs met while mourning the loss of your birth family and the connections to your heritage and your past. Loving your family of origin and yearning for a connection to your past doesn’t have to mean that you love the family who adopted you any less. It is okay to miss your birth family and wonder about what might have been. They will always be a part of you. You have a right to wholly embrace the many aspects and people that contribute to who you are. 5. There is beauty and heartbreak in being perceived as different. It is not easy being different and living and going to school in a place where nobody looks like you and nobody seems to understand what you are going through. The questions about who your “real” parents are and why you can’t be with them, the endless taunting and bullying, the assignments you can’t complete due to the countless unknowns in your life—all are incredibly heartbreaking reminders of the losses you have experienced and how different you truly feel. Being different can be lonely and terrifying, but it can also be inspiring and beautiful. We are all unique in our own ways and life often deals us cards that we aren’t prepared to play. But, it is in those moments of adversity where we discover our strength and resiliency—where we fight to hold onto the things and people in our lives that bring us joy and foster hope. It is in those moments where we are presented with opportunities to educate others and create awareness about the issues that we face as a result of our experiences in life. It is in those moments where we get to decide how we react to difficult situations—where we must gather the strength and courage within ourselves to find light in the darkness and fight to rise above the adversity—where we can choose to combat hatred with kindness, compassion, and love. 4. Allow yourself to let go of the guilt that you feel. We feel guilty for not feeling happy about being adopted and for not being able to be the children we believe our adoptive parents want us to be. We hear stories from other adoptees who have experienced trauma and abuse in their adoptive families and we feel guilty for not having had those experiences as well. We feel guilty for missing and loving our birthmothers and we feel guilty for the hatred and anger we feel towards them. We feel guilty for loving our adoptive parents and we feel guilty for not being able to love and connect with them in the ways they wish we could. We feel guilty for the constant anger and sadness we feel. We feel guilty for how lost and alone we feel. It is important to remember that we are not what happened to us. We had no control over the choices that were made that led to our relinquishments and subsequent adoptions. Adoption is so incredibly complex and there is no right or wrong way to feel about being adopted. We have a right to not feel okay about what has happened in our lives. But, we also need to do what we can to not allow ourselves to get stuck there. We need to allow ourselves the time and space to heal. We need to attempt to forgive others and ourselves in order to heal and work towards finding some semblance of peace in our lives. 3. You are worthy of love, and you are worthy of being loved exactly as you are. There have been experiences in your life that may have caused you to feel like you are not good enough and are not deserving of love, but you are. You should not have to compromise who you are to prove to others that you are worth loving. Love is something that should be given without expectation of anything in return, and you deserve to have that kind of love in your life. You should never feel like you have to buy love or friendship or a sense of belonging with things like gifts, money, your body, good grades, perfection, loss of identity, or anything else that may compromise who you are and who you believe yourself to be. You are worthy of love without condition or expectation. You are worthy of being loved for who you are—beautiful and messy and wonderful imperfections and all. 2. You matter to this world. It can be difficult to understand why people in your life chose to make the decisions that led to your being adopted. Some of those decisions may cause you to feel as though your value in this world is less than others whose birth parents chose to raise them. I want you to know and to hear me when I say that your life, your voice, and your story all have value in this world. Regardless of how you came to be adopted, I want you to know that you matter and you have the capacity to do amazing things in your life. Never forget that this world needs your light. 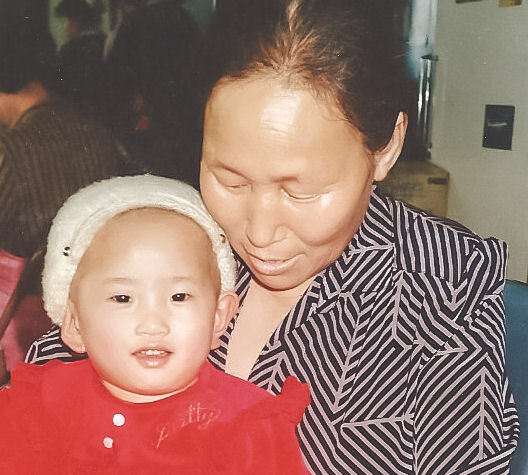 Being an adoptee can be beautiful and lonely and wonderful and devastating. It can be difficult living in a world of people who breathe the same air as you, but will never understand what you have gone through and why you feel the way you do about it. That sense of belonging can feel so fleeting at times—it is something you may never fully be able to experience. It is never easy to feel misunderstood. It is never easy to feel lost in a world that you are encouraged to embrace but never fully feels like your own. It is never easy to hear that you were given “a chance at a better life” when all you want is to experience the life from which you were torn away—a life you may never have had the chance to know. Please know that you are not alone. There are entire communities of adoptees who have had similar experiences and know exactly what you are going through and truly understand how you feel. Reach out to the people in your life who love and care about you. Talk to them about the things that hurt, and talk to them about the things that bring you joy. Too many adoptees have lost their lives with too many words in their hearts that they felt were unspeakable. While the words you need to say about what you are feeling may be hurtful to your loved ones—the pain will heal with time. However, the pain of losing you would create a deep and devastating wound that your loved ones would carry with them forever. Please know that you are so very loved. You are never, ever alone. It will get better, and there is always hope.